Did you notice that date? Yes, Library Loot is careening straight into 2012 this week. In some ways it has been a long year. In another....not at all. It can't possibly be the end of the year yet can it! Deep in the Valley by Robyn Carr - I am all caught up to date with Robyn Carr's Virgin River series so now it is time to try some of her other books. This is the first in a trilogy which loosely connects to Virgin River. 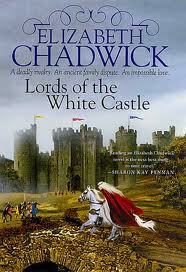 Lords of the White Castle by Elizabeth Chadwick - My leisurely stroll thought Elizabeth Chadwick's backlist continues. Legend by Marie Lu - This author appeared via video at the BTL Live event I went to a few weeks ago. I don't recall having heard about her book before then, but by the time the session was finished I knew I wanted to read it. 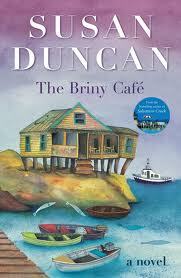 The Briny Cafe by Susan Duncan - I can't remember why I added this book to my request list as I added it ages ago. It will however count for a couple of my challenges for 2012. 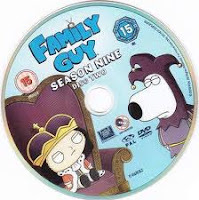 Family Guy Season 9 - The little chef is on school holidays at the moment so this will perhaps help keep him occupied for a few hours at least. You did pick up a good amount! I always have fun with Elizabeth Chadwick's books, though it has been a while since I last read one. Enjoy! I've seen Legend on a few blogs. I'm thinking about reading it. Enjoy! Looks like some great holiday reading! Enjoy! I'm always inspired by reading your Library Loot posts! Sounds like you checked out some great books. I love the library! I really need to try Elizabeth Chadwick. I think I'll add that to my goals for next year. I keep forgetting how much I love historical fiction! Great loot! I keep seeing Legend everywhere so I'm looking forward to reading your thoughts on it. Unfortunately, last week was my last time checking out loot from the library for a few months. ;-( I start the TBR Double Dare on the first. At least I'll get some of my tbr stack read! Happy reading.